The mixture of extension and refurbishment, along with the modern, energy efficient and sustainable design made this an interesting and demanding project to undertake. 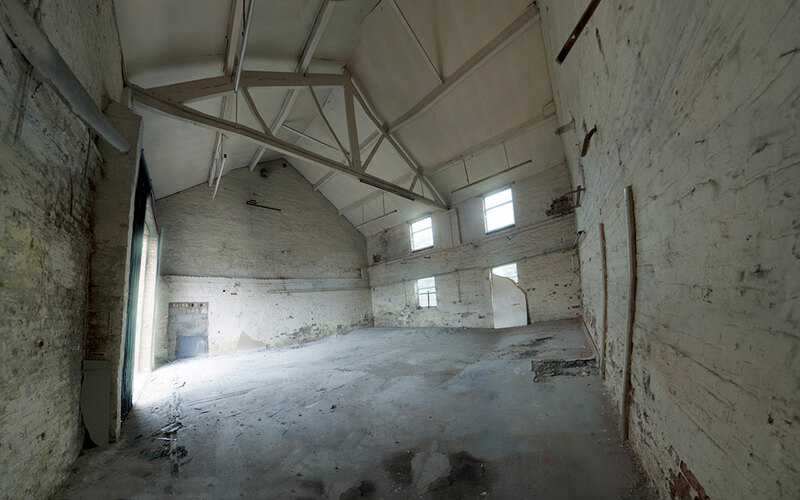 The works included partial demolition and structural strengthening of the existing office and warehouse buildings, the strip out and refurbishment of the toilet block and Band Room (which remained in use throughout the contract) and the extension of the building to form a new training centre. All the buildings were linked together with the construction of a new showroom in the centre bringing all the elements of the new and old together in a sympathetic and environmentally friendly design. The new single storey showroom was constructed using a modern steel frame on traditional pad foundations. The steel frame formed a glass frontage and the floor area inside provided a canvas on which the client has showcased their product range. The new base was designed to be as environmentally sustainable as possible in order to showcase Flowcrete’s green credentials and as a result of their initiatives the company has reduced the energy consumption of its offices by an incredible 93%. The new building has no boilers or air conditioning units. Instead heating and hot water is provided through air source heat pumps, which extract heat from the air even on the coldest day, and underfloor heating, which distributes this heat around the building. Air is cooled by reversing the underfloor pipes to absorb heat from the building. 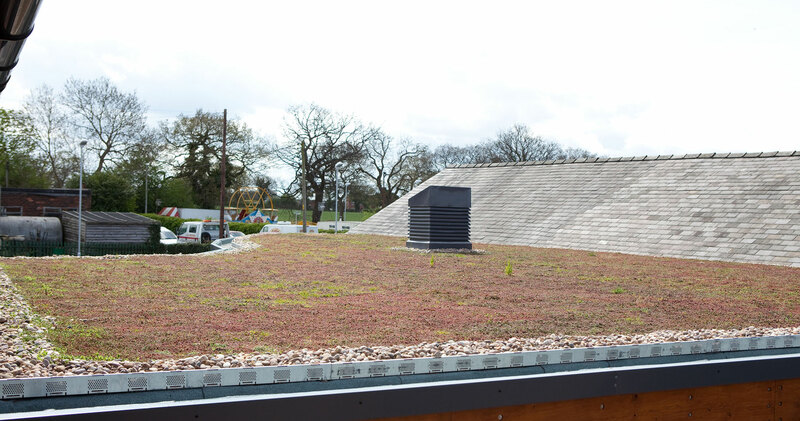 The ‘green’ sedum roof is made up of a living carpet of plants, which absorbs carbon dioxide, adds thermal insulation and provides an environment for birds, insects and other wildlife. Reflective flooring reduces the need for lighting whilst daylight sensitive lighting, minimises energy use. 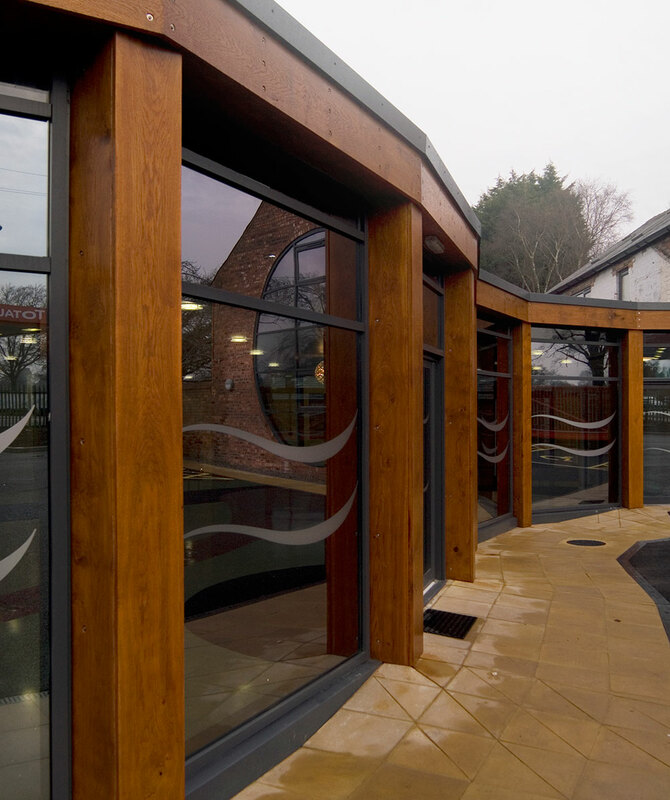 Insulated external renders and the thermally efficient glazed wall further insulates the building. 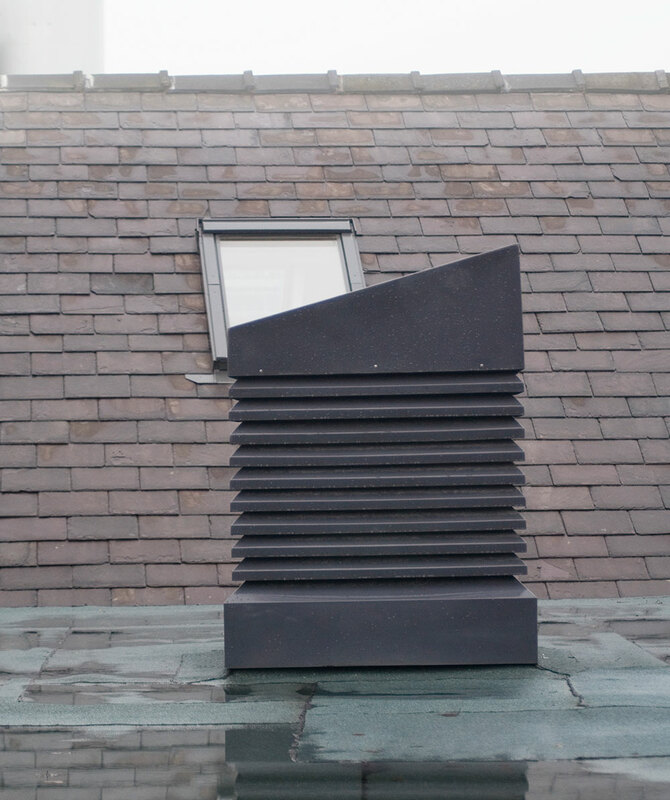 Natural ventilation is created using solar powered Monodraught Windcatchers which channel a controlled quantity of fresh air into a room from roof level, whatever the wind’s direction, and without mechanical assistance. 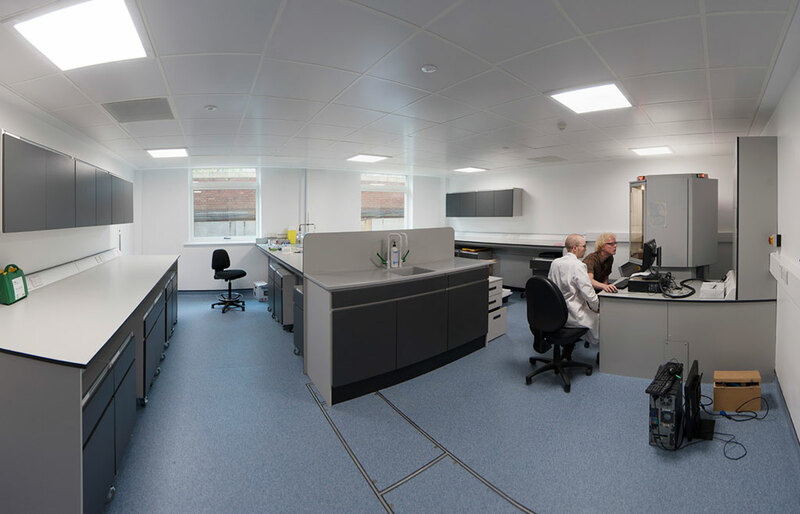 We ensured that the building’s green credentials were not limited to the finished product and worked hard during the construction phase to source environmentally appropriate products and to minimise waste. All the excavated material was recycled and we were also able to re-use existing slate roof tiles and velux windows. Due to the age of the building we were face with a number of unforeseen problems. 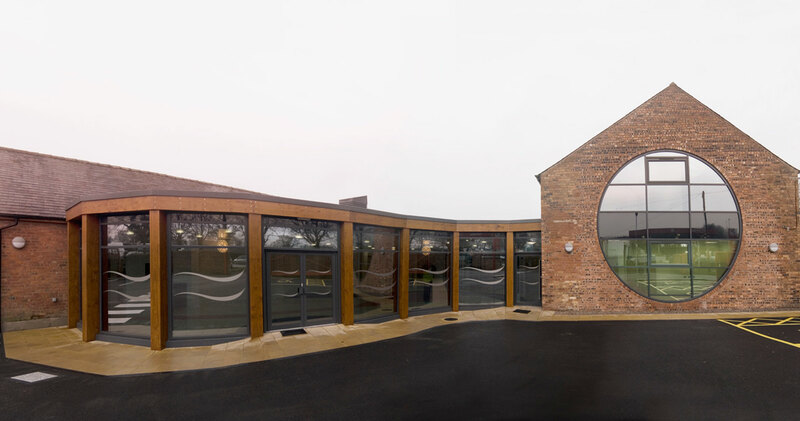 For example, the design called for an existing building to be connected to the new extension with a brick wall but when we opened up the roof we found that it could not support the weight. Faced with stripping the entire roof of the adjacent gymnasium we worked with the client to come up with an alternative solution and at our suggestion we constructed the wall out of timber which helped to minimise the cost and any time delay. 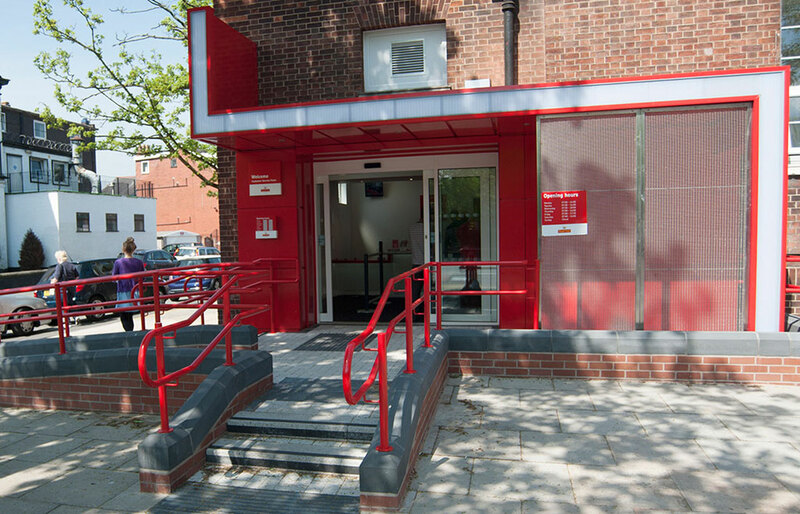 The building was officially opened by HRH The Duke of Gloucester. 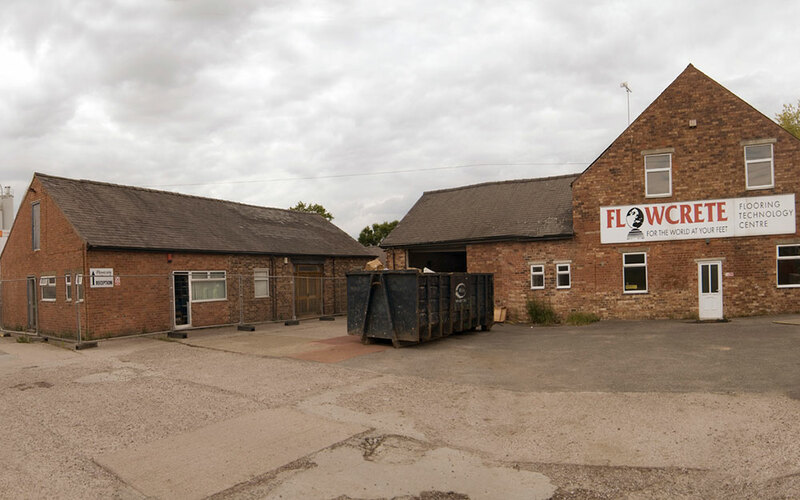 "From contract negotiations to completion of this complex project, MCC brought a highly professional attitude to the re-development of former farm buildings creating a new state-of-the-art office for Flowcrete UK Ltd. The conversion of old buildings with a long and varied history of use, in conjunction with the worse winter for 30 years, inevitably presented a range of difficulties. The impact of these problems was greatly mitigated with the open approach adopted by MCC towards the quick resolution of on-site issues. This together with the expertise and dedication of the team at MCC, contributed to an excellent working relationship and a high-quality finish to the building. 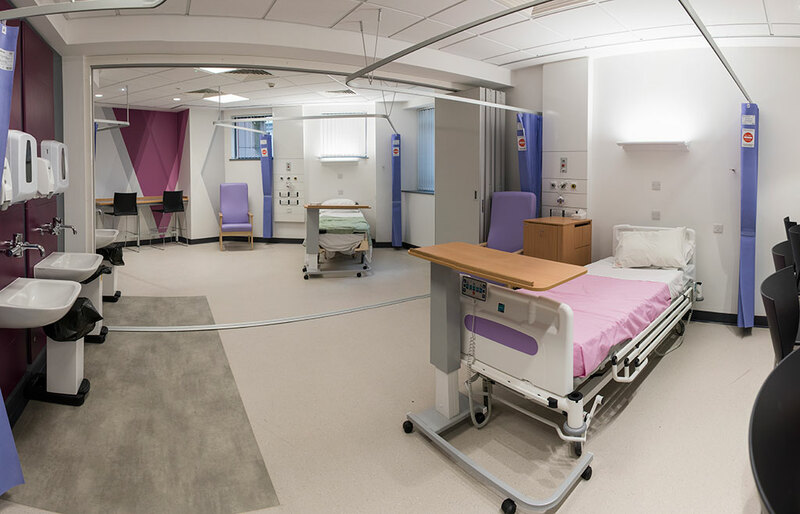 All parties involved can be justifiably very proud of an outstanding example of sustainable refurbishment."